Home / Solutions / Case Studies / Road / With an enhanced light quality Sunderland saves hundreds of thousands of pounds a year. 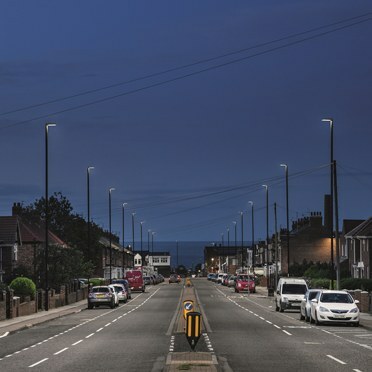 More than 27,000 sodium street lamps in Sunderland have been replaced by new LED versions, in a £6 million LED upgrade aiming to enhance light quality and save the city hundreds of thousands of pounds a year. 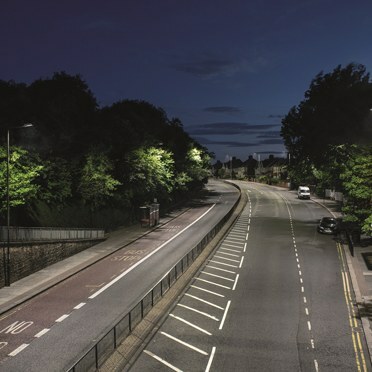 The improvements to lighting on residential estates, distributor roads and major roundabouts in the city were made possible by funding from Salix, which provides loans for energy-saving projects in the public sector. The council selected Thorn’s R2L2 lantern following a strict selection process in partnership with contractor Balfour Beatty. The product had to meet rigorous criteria including improved lighting levels, increased energy efficiency to keep whole life costs down, and the ability to be dimmed to save further energy. It was also important to the client that the lighting provider be a well-established, trusted and guaranteed brand. Thorn’s R2L2 lantern was the perfect choice for the job, coming in three sizes, with a wide range of options for lumen output and light distribution for all road applications including motorways. The 11 types of light distribution offered by R2L2’s optics deliver precise light placement and, perhaps more importantly, no wasted light. Energy savings can also be maximised with a wide range of intelligent lighting control solutions, ranging from stand-alone dimming to full remote control via a central monitoring system. The R2L2 fitting also offers a universal and integrated spigot that provides flexibility through top and side entry for any maintenance and tilt adjustment. The lanterns for the Sunderland installation were ordered with pre-set dimming to give an additional 25% energy saving. In the second phase of the project, more than 7,500 Thorn CiviTEQ lanterns have been installed. CiviTEQ is an unobtrusive LED lantern that is ideal for road lighting upgrades. With 12 precise lighting distributions, the lantern is fitted with Thorn’s patented R-PEC® optic to provide safe and efficient illumination. CiviTEQ is compact and lightweight for easy handling and installation, with low windage. Available in two sizes, the fitting also has a comprehensive range of controls, making it suitable for a wide range of applications. The city’s new lighting provides a vastly better quality of light than the old-style SON luminaires, while also saving energy and reducing maintenance. Sunderland City Council is set to save £2.4 million a year thanks to lower bills and less maintenance, and expects to reduce its carbon emissions by 9,000 tonnes a year as a result of the project. “Everyone wants to save money on their energy bills and, given the significant savings we have to make because of continued reductions in government funding, the City Council is no different. As well as financial savings, the new lights can bring other benefits to highway users. The ‘white light’ makes it easier for pedestrians, cyclists and motorists to see and this helps in reducing night time road traffic accidents and the fear of crime. The first installation phase is seeing the conversion of almost half of the city’s street lighting stock”.